Susan is 55 years old and an avid runner. 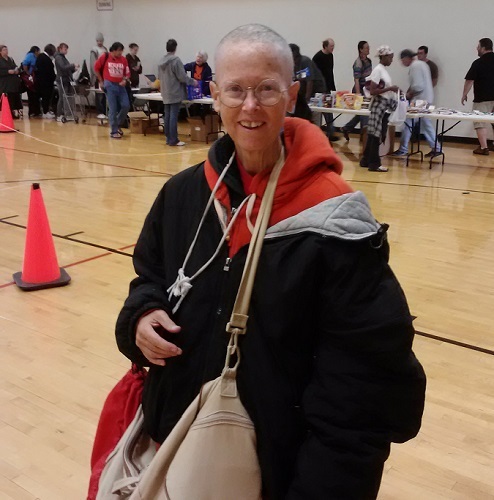 While standing in line at our food distribution, she met a special friend who is developmentally delayed. They’ve formed a great relationship and now run together every Tuesday after they receive their food. Susan has met some of her best friends in line at the Food Bank. She calls them her family. Susan says, “I only have a few dollars for groceries each month and coming to the Food Bank allows me to eat some foods that I otherwise wouldn’t eat.” And if there is food that Susan doesn’t normally eat, or she has had enough of, she makes sure to put it in the hands of a homeless individual on her walk home.